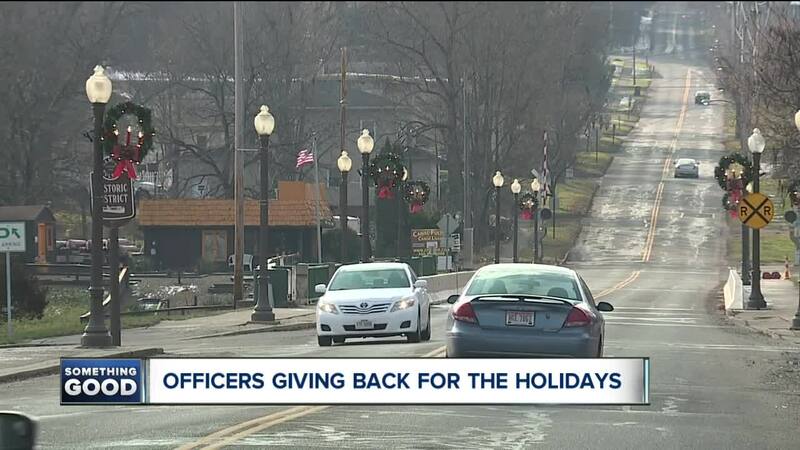 CANAL FULTON, Ohio — Most people only feel the holiday spirit in December, but residents living in a small town in Stark County say they feel it year-round. "We're small, so everybody kinda knows each others business, which isn't always a bad thing," Canal Fulton Police Officer John Barabasch told News 5. Barabasch is a second-generation Canal Fulton police officer who grew up in the area. "We have such a strong, tight knit community," he told News 5. "Everybody is always looking out for each other." Barabasch and others at the police department put a huge emphasis on giving back to his community. "It's beyond police work," he said. He said that's something public safety, public service and local business officials all agree on in Canal Fulton. “We're making sure that everybody who is having a rough time or going through a rough spell has everything they need," Barabasch said. Last winter, News 5 went sledding in the city, after police officers and firefighters pooled their own money to buy an adaptable sled for folks who never could have experienced this otherwise. Canal Fulton's Fire Department has plans to buy another adaptable sled this winter. This year, the police department and local businesses fundraised to gifting 10 families with new Christmas memories - sending them to Disney on Ice, with money for gas and vouchers for dinner. A gift folks who need a little help can give their kids this Christmas. It means a lot to families like Brittany Kremer's. "This police department changed my entire life," Kremer said, "It's something we definitely cherish." Kremer told us it's not just a holiday thing, and that's what really makes this place unique. "Growing up here you felt like you were part of a bigger family," she said, "We all rally together and I think that's what makes it special." "It's the greatest place in the world. It really is," Barabasch told News 5.